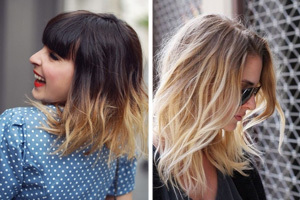 No matter which one you choose, you’d better make sure your hair is free of scurf which may ruin the whole hairstyle. Besides, it is advisable that to keep the office hairstyle neat,, since a messy or unkempt hairstyle always reminds people that of low effectivity and without image consciousness. The above mentioned details are quite important. Besides, the hair accessories that you choose should be usual and suitable for the formal occasions. If you want to leave a great impression on your leaders or colleagues, you need spend some effort in choosing and styling the hairstyle for office. This hairstyle is quite suitable for office, since all the hair is styled away from the face. 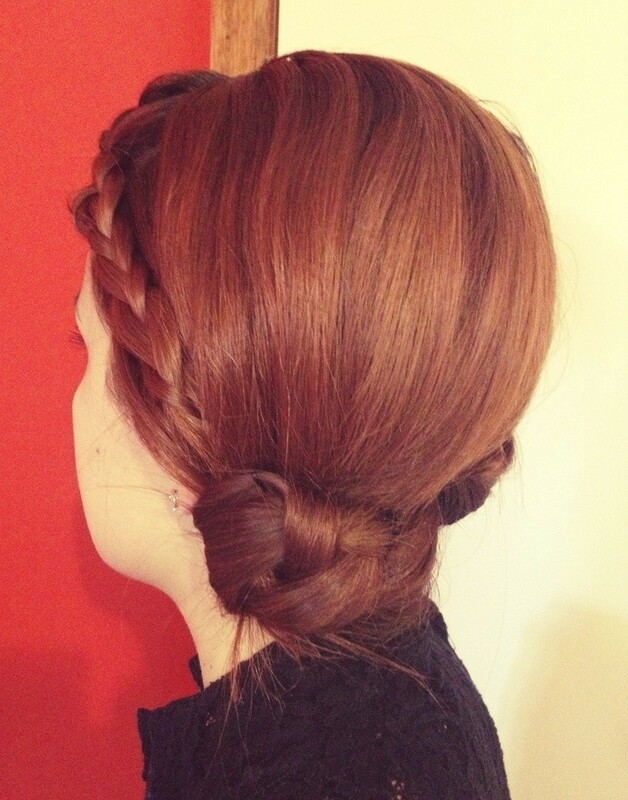 The hair is twisted into a up-style and fixed inwards with bobby pins. It offers people a capital e and neat feel. The long hair is styled into a side braid. To avoid the hair looking flat and lifeless, the top section is teased up for volume. 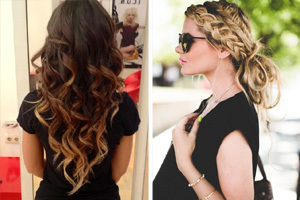 The most hair is combed to one side and styled into a braid. 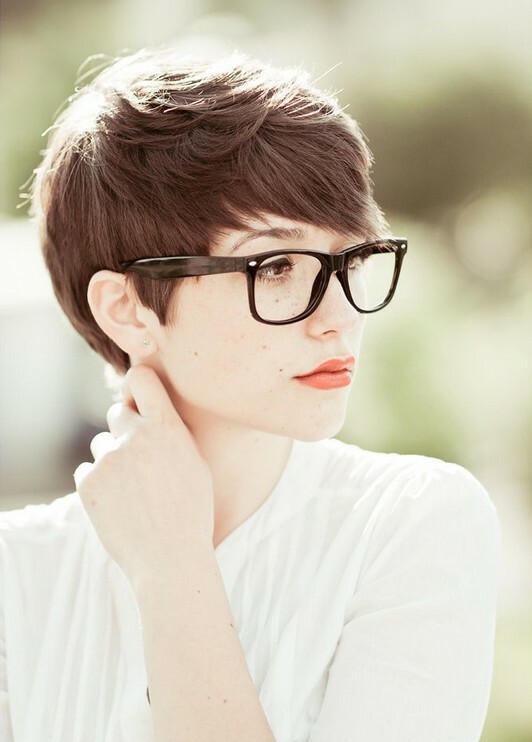 This is a cool and amazing short hairstyle. It is quite simple to style and maintain, so it is an ideal option for busy office ladies. This is a tucked inward up-style. The hair is first styled into a high ponytail and then the hair ends are tucked inwards. A suitable hair pins hide the hole and fix the hair ends in a flattering way. This hairstyle looks elegant and professional. The special pins spice the up-style. It works better on thin hair. The medium hair is pined just at the middle and the rest hair is left loose touching the shoulders. To create the hairstyle, some bobby pins are needed. The double ponytails add layers to the look and make the whole hairstyle full and admiringly. The top section is teased up for extra body. 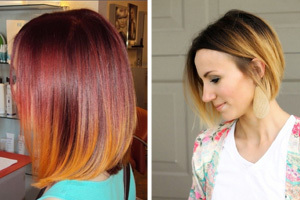 The sleek vixen hairstyle can also be a cool option for the office women. It works better on straight hair. Some bobby pins can help fix. The ponytail holder is wapped by a stand of hair. The Cheshunt bun is great for office and hot summer days. It works better on medium and long hair. You can control the size according to your hair texture. 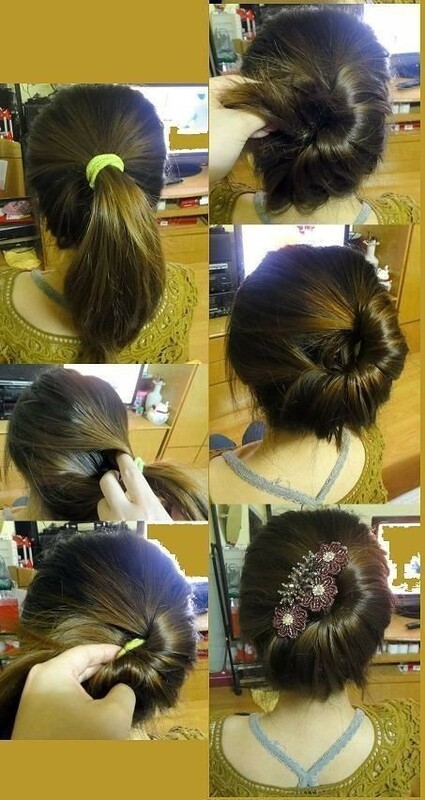 This is a woven low bun hairstyle which looks elegant and formal. The top section is teased up and makes up a cool and smashing frame with the bottom bun. 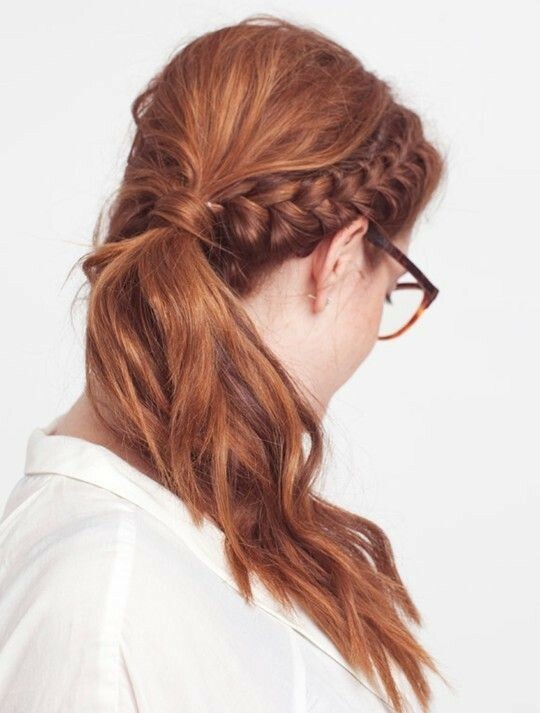 This is a cute and formal braided up-style. 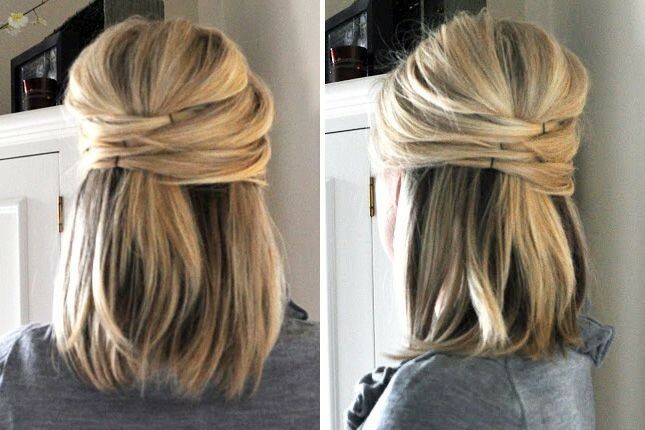 The hair is style into a ponytail and braided and then twisted into a bun. To keep the fly-away away from the face, you can use a hair-head. 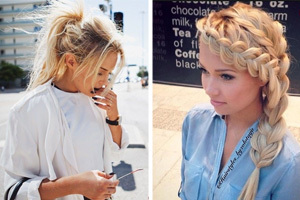 This side braid makes the side ponytail special and trendy. The medium hairstyle is featured by smoothness and side part. . To keep it sleek longer, you can apply a bit of hairspray. The low up-style is simple to create and elegant for the office. The side hair is braided and dragged back. 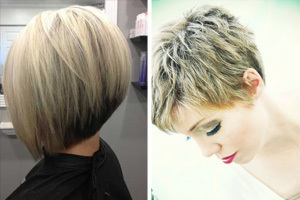 You can style it quickly and simply. The front side hair is braided loosely and the rest hair is styled into a ponytail. 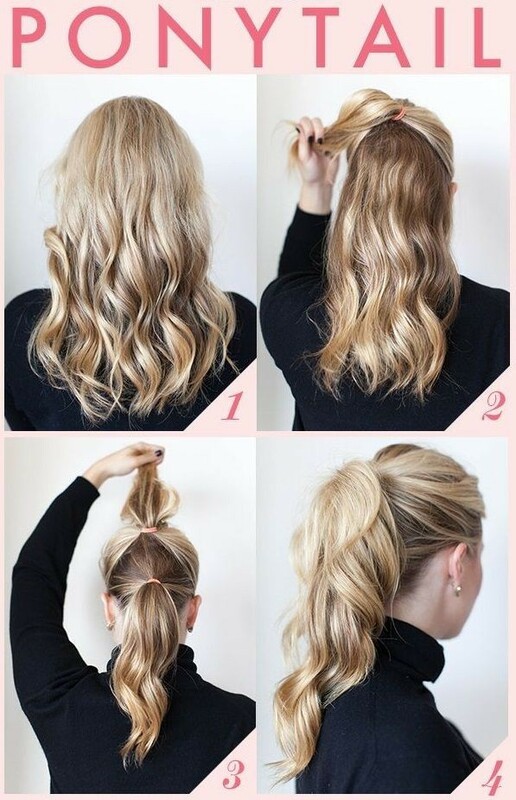 A large section hair is wapped at the ponytail holder to add more coolness. 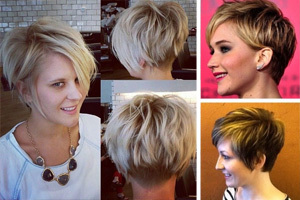 The short hairstyle with smooth layers look cool and luscious. It can be created on many face shapes. Besides, it is effortless to style and maintain. To keep it sleek longer, you can apply a bit of hairspray. 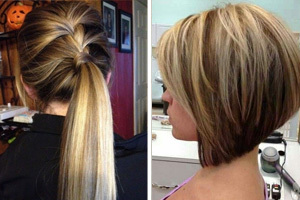 The short hairstyle is often selected by office women, since it looks neat and is simple to create.